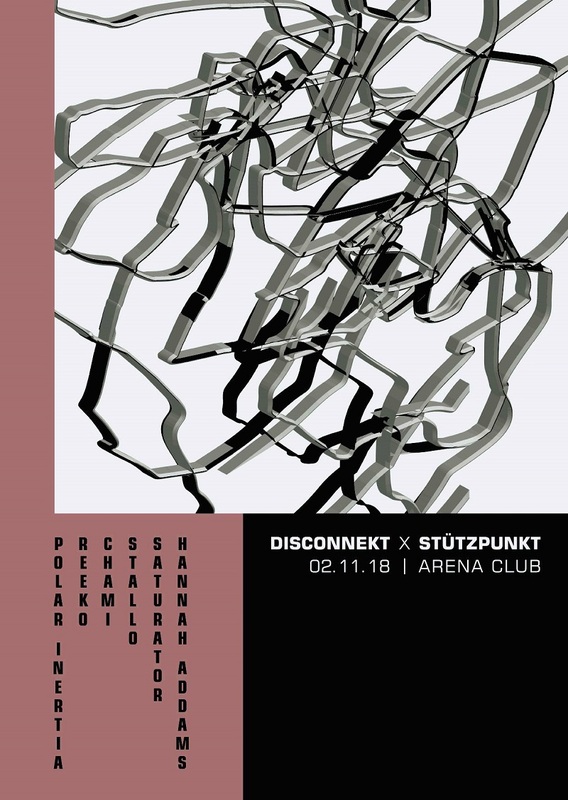 The two Berlin-based crews Stützpunkt and Disconnekt are joining forces for the first time – get ready for a long night at Arena Club with a very special lineup that will keep you glued to the dancefloor. We have invited Polar Inertia for one of their infamous live performances. They have been one of the most exciting live acts of the past decade and never fail to amaze with their seemingly never ending creativity in approaching electronic music. The unique sound of their records and live sets is just the tip of the iceberg creatively as these two minds go way beyond just making music but also express themselves in photography or in creating artworks. We are very excited that they will join us for this one and can’t wait to find out what they will have in store for us. Accompanying them we’ve got PoleGroup’s very own Reeko. The Asturian artist has been a major player on the dj landscape for quite some time now and can’t be left out when talking the most influential spanish techno artists. His sound is very distinctive and powerful, not just in his djing but also in his productions. Those have been played at venues all around the world – and not just the ones released under this name but also those released under various aliases. There is no doubt in our mind that Reeko will leave you stunned after his set. The lineup is completed by some of our respective resident djs – Chami and Saturator are representing Stützpunkt while Stallo and Hannah Addams are repping Disconnekt. These four will make sure that you come early and stay late. We are looking forward to finally do this one with you, we have been waiting for a long time. Bring it on!